Key FeaturesHigh fibre, low starch and sugar diet. 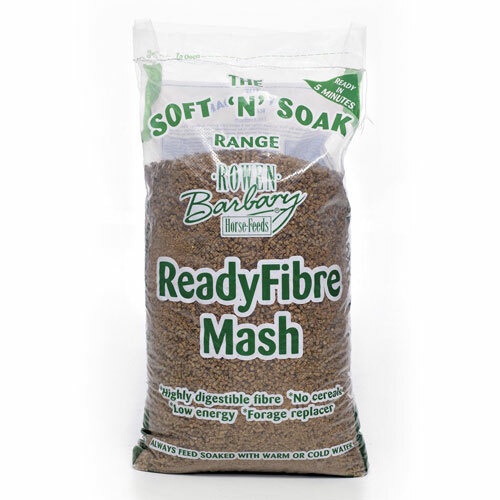 Can be used as a hay replacer.Product InformationMade up of 100% high digestible fibre ReadyFibre Mash is a versatile, highly palatable product. 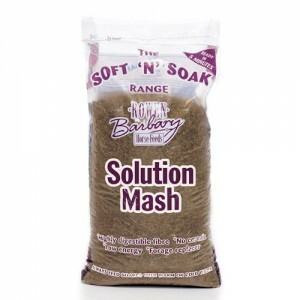 With a very low starch and sugar content (under 2.5% total sugar) and no cereals it is suitable for horses that suffer from laminitis, for good doers and those that need a low energy diet.It is ideal to use as a hay replacer for horses that are stabled for long periods of time or those that have difficulty eating long stem fibres. 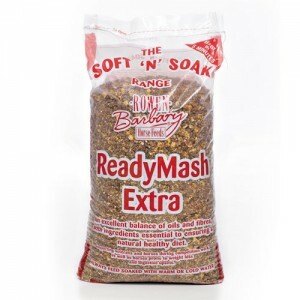 The high fibre content helps to encourage slow rates of digestion throughout the hind gut and is particularly valuable for horses requiring a diet that is sympathetic on the digestive system.Containing just four ingredients without any cereals, alfalfa, barley or wheat it is a very useful feed for horses that suffer from intolerances. Soya oil is added to help improve coat and skin condition.If fed as the sole concentrate feed a general purpose vitamin and mineral supplement such as Sumo Vitem should be used.